Printing human organs has been a goal of biomedical engineers and researchers for decades. While it might seem like an improbability, advancements in both 3D printing and chemical manufacturing have gotten the world closer to replacing human body parts. A team of researchers from Osaka University have refined an enzyme-driven approach to building up new body parts. 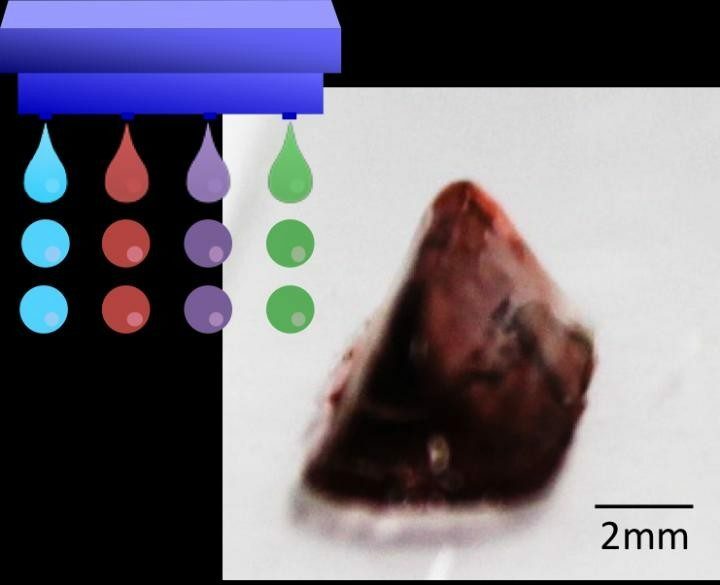 The Osaka team’s research contributes to the process of bioprinting, and more specifically, it can help perfect the proper gel structure for inkjet or 3D printing. Thus far in 3D printing innovations, scientists have developed new skulls, created an ear, and partially rebuilt faces. A couple of years ago, researchers even managed to recreate a network of blood vessels and a capillary network. Current methods use sodium alginate as the main agent for bioprinting. However, the sodium alginate doesn’t work well with certain types of cells. The team used hydrogelation through an enzyme — horseradish peroxidase — which builds up cross-links between phenyl groups. The horseradish peroxidase adds polymer in the presence of hydrogen peroxide. It’s also found in the root of horseradish. However, hydrogen peroxide can often damage cells. Thus, the researchers devised a way to limit the contact between hydrogen peroxide and the cells to make sure the cells stayed alive. With this method, more than 90 percen to the cells were viable.